Is biased journalism always a problem? Or can it be admired as advocacy journalism? 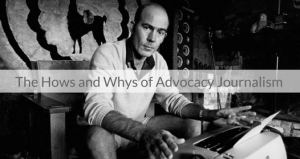 In this video interview and downloadable white paper, host Tim Shoults and veteran journalist Barbara Yaffe will cover the hows and whys of advocacy journalism. 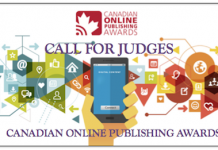 Barbara is a journalist who has spent more than 40 years living and working in Canada writing on public issues and government. Barbara’s first job was at the Montreal Gazette, but within a year she moved to the Globe and Mail to work in the Toronto newsroom, the Queens Park Bureau and then, the Atlantic Bureau. Barbara was co-recipient of the Roland Michener Governor General’s Award, for a series of articles on children’s services in Ontario. In 1988 she joined the Vancouver Sun where she has worked as Lifestyles Editor, BC News Editor and finally, a political and business columnist and editorial writer. In 2004, the Jack Webster Foundation awarded her the Columnist of the Year Award and the same year she won an Award of Distinction from the International Fund for Animal Welfare. 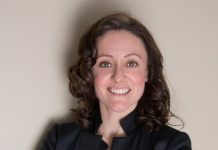 In 2013, she was awarded a Queen’s Diamond Jubilee Medal for her journalism work, flowing from a nomination from the Canadian Taxpayers Federation.